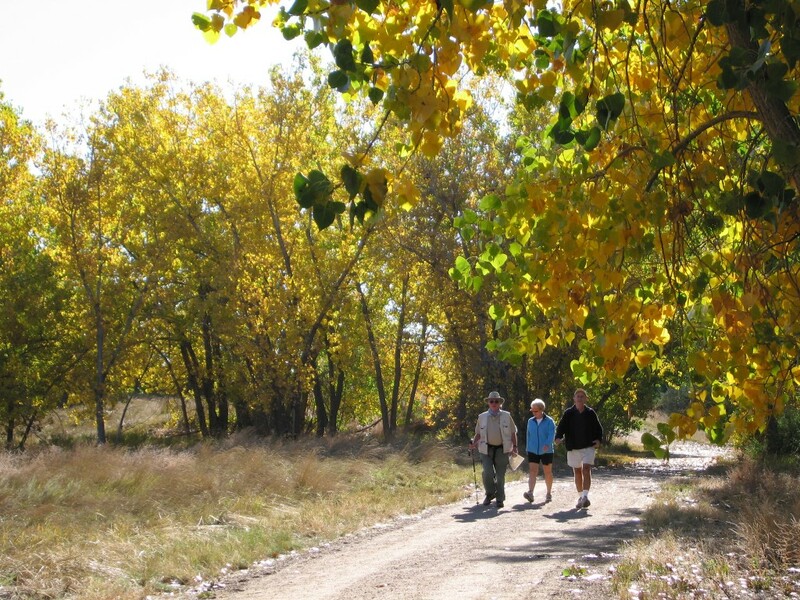 It’s easy to get to Sand Creek Regional Greenway- whether you use connecting trails, or if you’re driving from farther away. There are currently seven parking areas that are accessible to the Greenway. More trailheads and parking areas will be developed over the coming years, so make sure to check back! Park in the gravel parking lot at the intersection of York Street and 64th Avenue, just south of I-270. The South Platte Greenway trail will be adjacent to this parking lot. Head north on the trail approximately 1/2 mile, and turn right onto the Sand Creek Regional Greenway trail. You will see the Sand Creek Regional Greenway signs before the turn. No bathrooms or water. Park at the paved trailhead at the intersection of Sand Creek Drive and E. 56th Avenue. This is just south of the Vasquez Boulevard exit off of I-270. No bathrooms or water. Go to the intersection of E. 52nd Avenue and Ivy Street in Commerce City. Turn onto E. 52nd Avenue, and this will dead-end into a parking lot in a few hundred feet. The Commerce City Wetland Park has a bathroom, picnic areas, and trash/recycling cans. The bathroom is currently closed due to flood damage. The Smith Road Trailhead is not well signed because of the light rail construction in the area, but it is open! To reach it by car, turn west onto Smith Road from Havana. 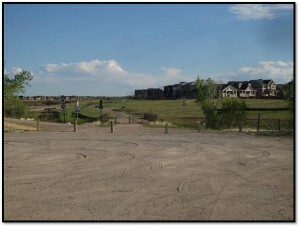 At the Smith Road Trailhead, turn south over Sand Creek to the new Westerly Creek North Park. Follow the paved trail to the southeast, over Westerly Creek and then due east to Havana. No water or bathrooms. The Bluff Lake Nature Center is a 123-acre wildlife preserve located at 3400 Havana Way in northeast Denver. The Sand Creek Regional Greenway trail runs just outside the nature center’s fence. The nature center and parking lot is open sunset to sundown- after this time, it is locked. Make sure to enjoy the nature center, which has several miles of trails as well as nature programs for kids. No bikes or dogs, please. A porta potty is available for public use. Click here for more information about Bluff Lake Nature Center. This beautiful park is located at the intersection of Peoria Street and Fitzsimons Parkway. The park contains a large parking lot, and a loop of paths that wind around Sand Creek. To access the Greenway to head east/west, look for directional signage to point you in the right direction. Check the construction page on this web site for updates regarding detours due to FasTracks construction. No water or bathrooms. At the intersection of Chambers and Smith Road, turn east on Smith Road. Drive for 1/2 mile and turn right on Laredo Street. Follow the road around to the right, and park in the Morrison Nature Center parking lot. Make sure to pop into the nature center, which is filled with maps, educational displays, and is run by very knowledgeable Aurora naturalists. To connect to the Sand Creek Regional Greenway, follow the path that leads from the parking area about 1/2 mile to the Greenway trail. There are bathrooms and water at the nature center, which is open Wednesday-Sunday. Click here for more information about the Morrison Nature Center.